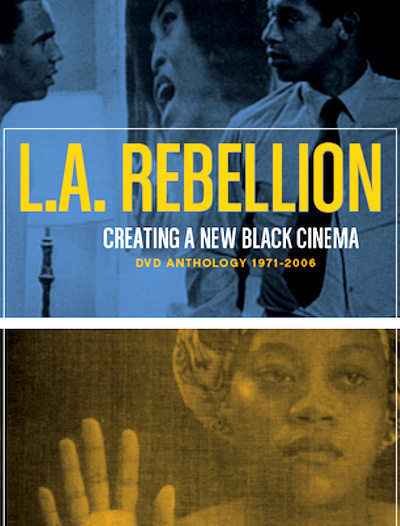 In the late 1960s, in the aftermath of the Watts Uprising and against the backdrop of the continuing Civil Rights Movement and the escalating Vietnam War, a group of African and African-American students entered the UCLA School of Theater, Film and Television, as part of an Ethno-Communications initiative designed to be responsive to communities of color (also including Asian, Chicano and Native American communities). Now referred to as the "L.A. Rebellion," these mostly unheralded artists created a unique cinematic landscape, as — over the course of two decades — students arrived, mentored one another and passed the torch to the next group. Beyond the films themselves, what makes the L.A. 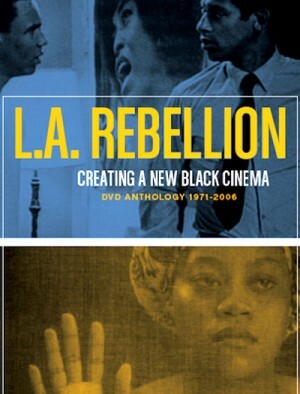 Rebellion movement a discovery worthy of a place in film history is the vitality of its filmmakers, their utopian vision of a better society, their sensitivity to children and gender issues, their willingness to question any and all received wisdom, their identification with the liberation movements in the Third World, and their expression of Black pride and dignity. While the L.A. 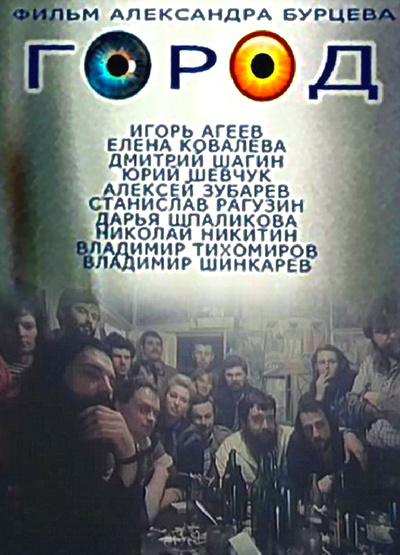 Rebellion produced a host of feature films, this DVD set focuses on the many short films produced by the group, representing a broad range of filmmakers. Movie never was released on any home video, this is bootleg copy made from Betacam tape that's source is directly from the original 35mm tape. If you're fan of russian rock scene, you should see this movie. Extras: Deleted scene to the with Viktor Tsoi, where he sings his song - Legend. The great achievement of American avant-garde film has been the interiorization of the cinema image: the creation of a body of films whose techniques are geared not toward using the film image for objective presentation of external events but for the exploration of the varieties of the private personas and inner visions of their makers. Jonas Mekas’s film, He Stands in a Desert Counting the Seconds of His Life, is one of the most intense, beautiful, and moving examples of that tradition. While we do see Mekas himself and his family, the film’s focus is on many other, often more public figures. There are a number of “celebrities,” from John and Yoko to Andy Warhol to Jackie O. and various Kennedy children. 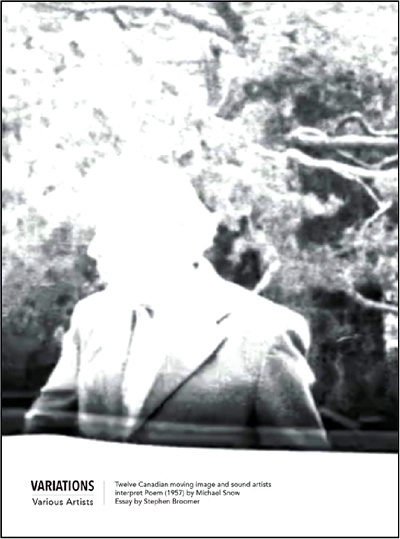 There is also much footage of persons well known to followers of independent film: Peter Kubelka, Hollis Frampton, Ken Jacobs, P. Adams Sitney, Richard Foreman. 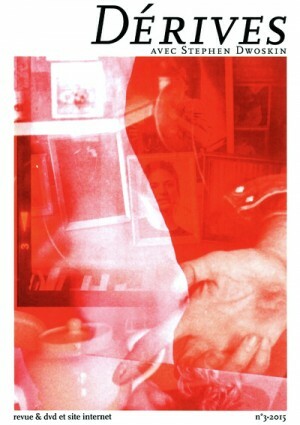 There are also many other Mekas friends who are not well known. For the past 25 years, Mekas has been releasing a series of diary films, each dealing with different periods of his life, which together will constitute a single, massive cinema autobiography. 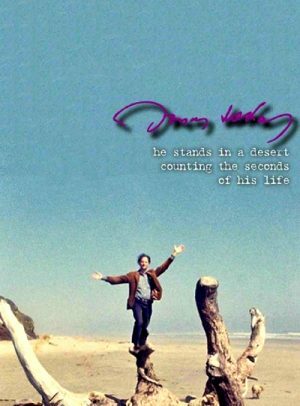 He Stands in a Desert is the first of three films utilizing footage shot over the last 15 years; Mekas sees this film as the one most concerned with material outside his personal life. Probably, besides the cinematic language suggested by Griffith and Eisenstein, the world cinema hasn’t discovered anything revolutionary new until Parajanov’s The Color of Pomegranates. Paradjanov's films also show the influence of Andrei Tarkowsky, a director he greatly admired. 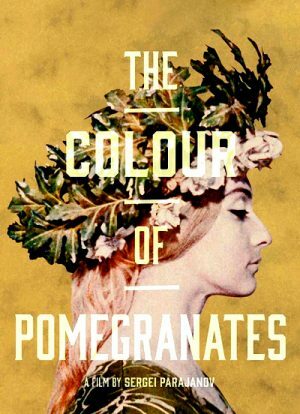 The Colour of Pomegranates is a biography of the great Armenian poet, singer and musician Sayat-Nova. The ‘King of Songs’ wrote is several languages, making him a legend across several countries. Writing and performing at a time of great religious piety (18th century) and a priest himself, he created great romantic and secular works. Parajanov doesn’t attempt to tell the story in a traditional way. Instead, he mixes Sayat-Nova’s writings and his own symbolic (often religious) imagery. From boyhood discovery of literature, through courtship and monastic life, to eventual death, the film explores not the biographical details of his life, but the spirit of his work through the themes, metaphors, and symbols of which it was crafted. Shot primarily in long takes on the Pointe du Raz in Brittany, "Ici et maintenant", according to fellow filmmaker Patrick Deval, “consists of the dreams of the solitary rambler, post-revolution... The moralist has given up on chaos; he takes his own pulse; he listens to the world, perhaps vibrating with it; he is in sympathetic ecstasy. The filmmaker holds his position, stiff as the statue of the commander, on alert for the phenomena which approach him; he resembles the lighthouse whose rectitude Bard captures magnificently, on an ink-dark night, with its hallucinatory lamp set against a background of winds and tides." 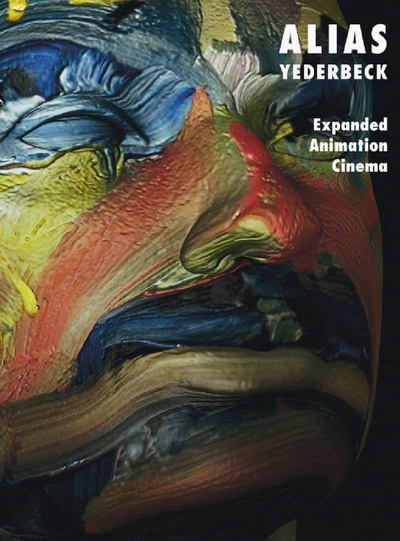 Frank Gessner's polystylistic "Expanded Animation Cinema ALIAS YEDERBECK" entangles elements of fine arts with media art as well as film, video, animation and sound into an extraordinary cinematographic major installation. "ALIAS YEDERBECK" is a hybrid "auto-(author-) construction" that aims at making conceptual and processual structures of the artistic work genesis come alive sensually. In the context of "Potsdam 2011 – City of Film", Gessner and a supporting team staged twelve nonlinear panoramic film sequences under the fictive pseudonym or heteronym Paul Yederbeck (1965 – 2001): Entertainer, Flaneur, Spectator, Actor, Dissolution, Projection, Anima Techne, Transcendental Animation, Happy End, Doppelganger, Reminder, The End (12 channel video, 63.00 min) and the artist’s video Qu’est-ce que Monsieur Teste? (1 channel video, 26.00 min). A special key has to be turned nine times to deactivate a PNM2 landmine. This rotation requires total concentration because all it takes is the slightest mistake to cause an explosion. 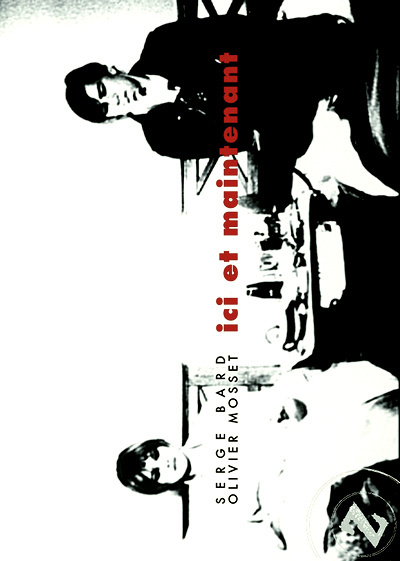 Director Olivier Zabat approaches the explosive theme of his remarkable film essay with a similar intensity. Nine short stories about things that at first glance seem different, such as Thai boxing, landmines, fishing, the discovery of a new beast of prey and an eye injury, are all linked by the fundamental experience of a person exposed to violence in its various forms. The individual slices of reality resonate within themselves and merge with each other like an elaborate jigsaw, in which each part is crucial. Nine Turns is a film that lies on the boundary between cinematic experimentation and careful social research. 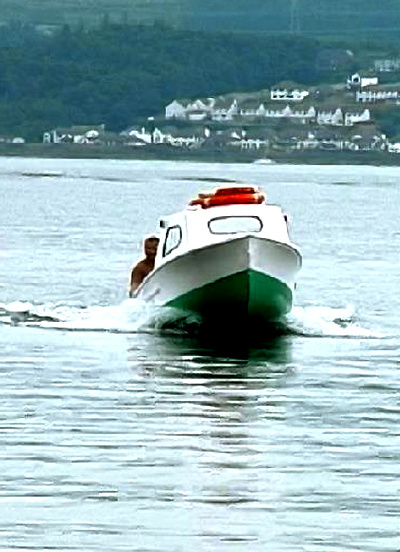 It was created by using images from some of the director' s previous films. Stephen Dwoskin (1939–2012) was born in New York. His Russian grandfather was a dancer, and would have liked Stephen to become one too. At the age of nine however, Stephen Dwoskin contracted polio. He now needed mechanical appliances in order to move about. While in hospital, he began to paint book illustrations. On his release, he took up photography and after finishing school went on to study graphic design and painting. Cinema came later, in 1961, when he shot his wife’s feet for his first film, entitled Asleep. The wind of change that swept through New York in the 1960s, a period of intense social, artistic and political protest, had a decisive influence on Stephen Dwoskin. He quickly adopted the cause of an other, non-industrial cinema, which included his own films and those of very many other artists. After he came to London in 1964, he co-founded Europe’s first film-maker’s cooperative. His physical immobility has largely contributed to the form his cinema has taken. Using the camera, he explores the space around him, moving with his eyes. And does so with great determination and lust for life. Physical limitations have become an integral part of his artistic reflection and practice, as have the processes of image taking and editing, which he pushes to their expressive extremes. Each of the artists chose to cling to different words, and groupings of words, in creating their own unique narrative, a narrative based on an individual assessment of Poem and how it could be interpreted through moving image and sound. Nadja is a duo of Aidan Baker and Leah Buckareff from Toronto (now based in Berlin) making music that encompasses experimental/drone, ambient, shoegazer, and doom metal. 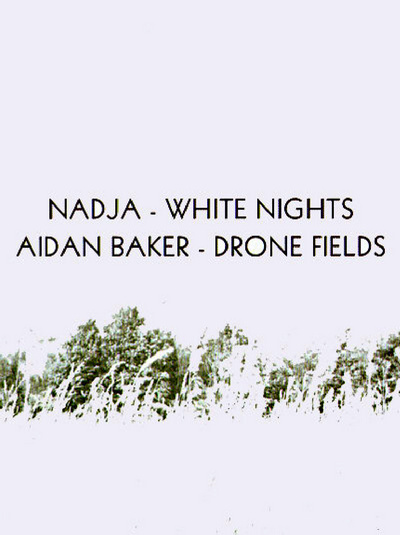 Originally formed by Baker in 2003 as a solo endeavour, Buckareff joined in 2005 to bring Nadja out of the studio and into a live setting. They have since released numerous albums with several different labels and have toured extensively in North America and Europe. White Nights music recorded live between 4am and 7am on September 9th, 2007 at the Nuit Blanche event in Toronto. Nadja's set was part of Insomnosonic, an evening of musical performances at the Toronto City Works Parking Garage. Aidan Baker is a Canadian musician and writer. He performs as a solo artist and with the groups Nadja and Arc. A classically trained multi-instrumentalist, his primary instrument is the electric guitar with which he creates music ranging from experimental/drone to ambient post-rock to contemporary classical. He has released numerous albums on labels from around the world and has authored several books of prose/poetry. Drone Fields was recorded live between 10pm and 1am at the OM Festival in Killaloe, ON (Canada) on June 21, 2003 as part of the Field of Drones exhibition.